Terror outfit Jaish-e-Mohammed (JeM), which is headed by dreaded terrorist Maulana Masood Azhar, has been officially banned in Pakistan since 2002. But that hasn't stopped the JeM from freely operating in the country. 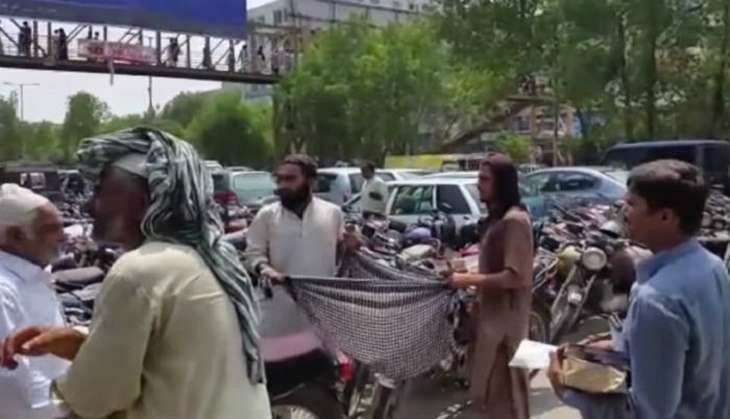 According to media reports, JeM is reportedly openly collecting funds from outside mosques in Karachi to carry out jihadist activities in India and Afghanistan. "Help the mujahideen of the Jaish-e-Muhammad, the mujahideen of Islam, fight jihad in Kashmir against India, and in Afghanistan against the Americans," the Indian Express quoted a man as saying in the footage. The JeM has been quite active in Kashmir for the past few months with the terrorist group looking to expand its footprints in the hills around Srinagar and northern Kashmir. JeM head- Masood Azhar, who in the 90's was involved in terror activities in Kashmir was arrested in Srinagar in 1994. He was released by the then Indian government in 1999 in exchange of the hostages of the IC 814 which was hijacked by JeM men during its flight from Kathmandu to Delhi.